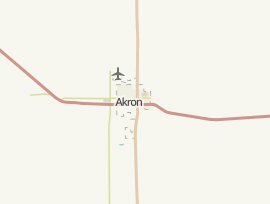 There are currently 4 branches of 4 different banks in Akron, CO. The Farmers State Bank of Brush has the most branches in Akron. The top banks in Akron with most branches are; The Farmers State Bank of Brush with 1 office, Bank of Colorado with 1 office, TBK Bank with 1 office and Equitable S&L with 1 office.